I first just want to say that I am a huge Dashner fan! Michael is a hacker. Spending most of his time in the VirtNet with his friends Sara and Bryson, they have experiences no one could imagine because in the VirtNet, you can do almost anything. Having full sensory, you feel and experience everything as if it’s real, without actually getting hurt. However, a Gamer named Kaine is causing some problems. There are still rules inside the VirtNet, and the VNS is responsible to keep those rules intact. That’s when the VNS contacts Michael. They have been watching him for a while, and know about his mad hacking skills. The VNS needs someone on the inside with that experience to get into the mind of the gamer Kaine. Of Course, Sara and Bryson are more than willing to help Michael with this adventure. However, they will come against obstacles they never dreamed about. Imagination at its best, James Dashner amazes with his creativity in the worlds that he created. Not only with the Wake, but the VirtNet too. This first book in the series moves at an incredible pace, full of action and sensory overload. With vivid writing skills that only Dashner can create, you will be pulled into this story and experience the highs and lows right along with Michael and his friends. With shocking twists and turns, and at times a complete adrenaline rush, this is one sci-fi story you don’t want to miss. 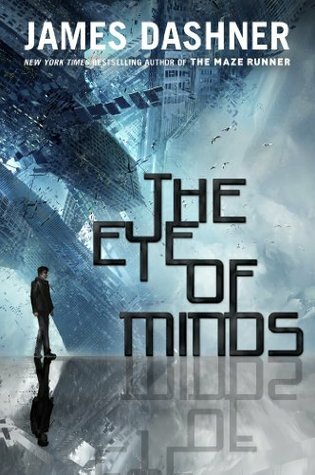 And be sure to read the second book in the series, The Thought of Minds.